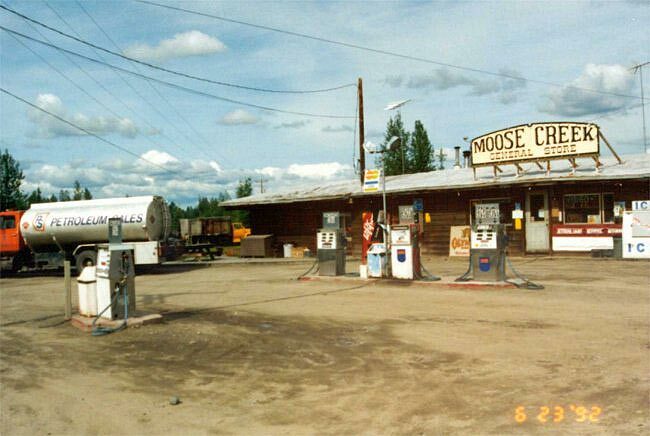 FAIRBANKS, Alaska (AP) _ An Air Force base about 25 miles southeast of Fairbanks has found contaminated groundwater in wells near Moose Creek. The Fairbanks Daily News-Miner reports (http://bit.ly/1d0HWAa) Eielson Air Force Base began testing wells in May for contamination that the Alaska Department of Environmental Conservation says was likely caused by firefighting foam used from 1970 to 2000. Out of 57 residential water supply wells, 46 samples turned up positive for perfluorinated compounds, or PFCs. Studies are being conducted on the chemical’s long-term effects on humans. Lab tests on animals have shown negative health impacts. Federal and state agencies gathered at the Moose Creek Fire Station on Tuesday night for a public meeting to discuss the contamination. The Air Force has been providing water to residents until a long-term solution can be implemented.